I’ll be honest; when I read “DnB rockers” I didn’t think I would enjoy this EP. Especially when I read “think Skindred meets Pendulum”. Alright, I absolutely love Skindred and Pendulum are alright but “Just no” I thought. I soon ate those words. 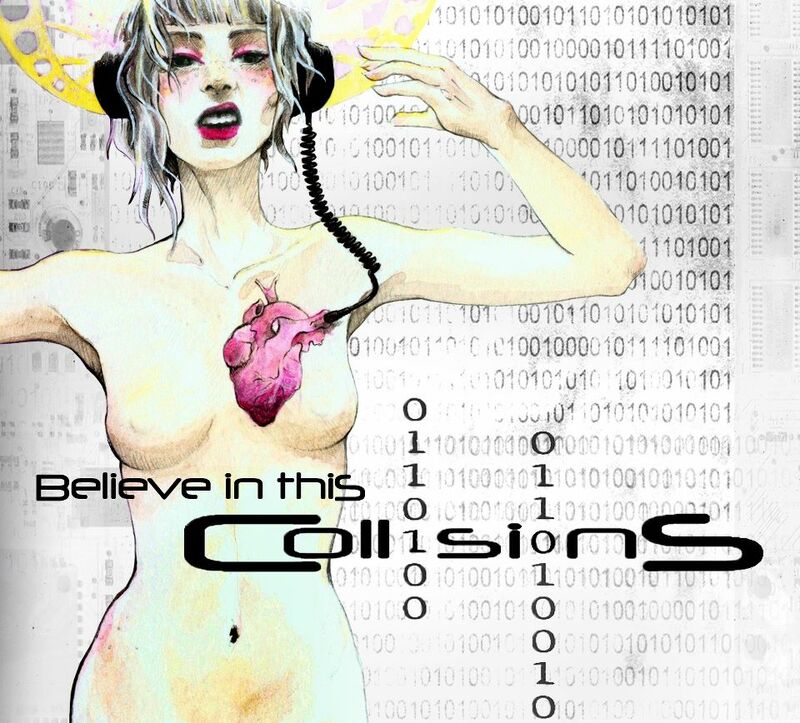 The title track, Believe in This (Listen to it here: http://soundcloud.com/collisionsuk/believe-in-this) starts off with this weird electronic kind of ambience before going into a nice riff whilst fading out the ambience along with some nice snare drums which builds up into Olly Simmons fantastic vocal jump into the song. I absolutely love his vocals, especially on this track. He’s just got that straight up young rock vocal style which is something I really dig. The weird electronic ambience that I’m not usually fond of carries on throughout the track, I’m not fond of the style of it but it works in this track. To be honest; It’s just a straight up nu-metal track. I wouldn’t call it anything else. If this song was brought out around the time Linkin’ Park were big, it would be bloody massive and it should be right now. The album continues with this nu-metal or ‘Drum & Bass Rock’ (A genre name I do not like one bit) and I like it. It’s weird, though; the second track ‘Fire Fire’ is a real riser, y’know, jump up and dance then track 3 ‘Chasing Forms’ although a good song it’s a bit of a drop which breaks the album up as it’s somewhat different to the rest of the E.P. It does speed up at the end with a bit of rapping and leads into the next song quite well, however. After that, it gets right back on track. It gets heavier with the drum & bass, heavier with the guitars, heavier in general. All in all, I really like this E.P. This is the first time I’ve said this (and probably won’t happen again) but this ‘Drum & Bass Rock’ works. 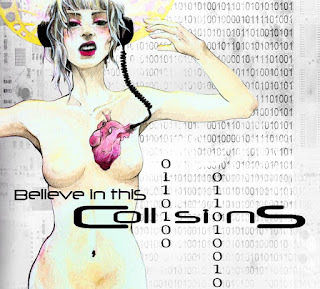 Collisions make it work. I’ve been taken over to the dark side. This E.P. is totally worth buying for a party if you want to please everyone. The EP is out on 7th May.